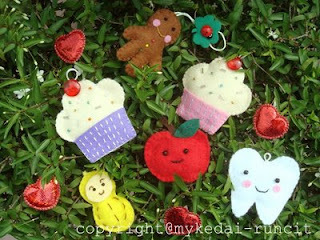 From fruits, to pastries and little smiley teeth, My Kedai Runcit has got the cuteness covered with the option of turning them into keychains, brooches, or necklace pendents (coming soon!)! Perhaps this could be the new trend over pixellated accessories? Another little new store is "When-What-How-Who-Where". Usually, I'm a sucker for high quality presentation with all the fancy layouts and edited photo's(who isn't? ), and I get easily bored with default templates and grainy/blurry/overflashed photography. Looking at this store, I didn't think that it would have interested me much, but it was the items for sale that caught my attention. They have some interesting thrifted vintage bags for sale, and a couple of outfits as well. I reckon with a simpler template, and some photo's under natural light, this store's sales will start booming in no time. When-What-How-Who-Where carries some interesting shapes and textures in their clothing.